The ViscoTec precision spray equipment enables applications in a wide variety of spray areas. The automated spraying system consists of a revolutionary combination of a proven endless piston principle and a low-flow spray chamber. This guarantees perfect spraying of low to high viscosity materials with high edge definition. The preeflow eco-SPRAY precision spray equipment enables many applications in the low to high viscosity spray range. The preeflow eco-SPRAY enables volumetric dosing based on the endless piston principle. 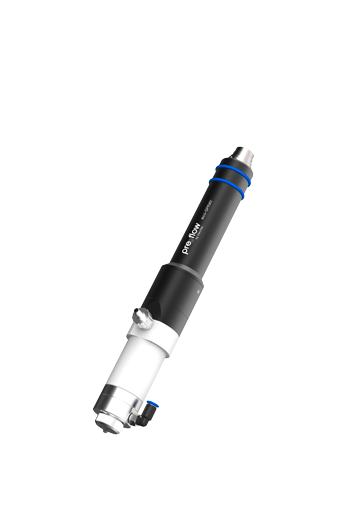 The basis is a rotating, fully pressure-tight displacement system. It consists of a rotor and stator. The defined rotary movement of the rotor displaces the material volumetrically in the stator. This creates the flow. Controlled via the processor, a defined quantity is fed into the special low-flow spray chamber. The precise nebulizing and spraying takes place continuously or intermittently. The combination of endless piston and low-flow spray chamber guarantees perfect spraying: From low to high viscosity materials with high edge definition and minimum overspray. 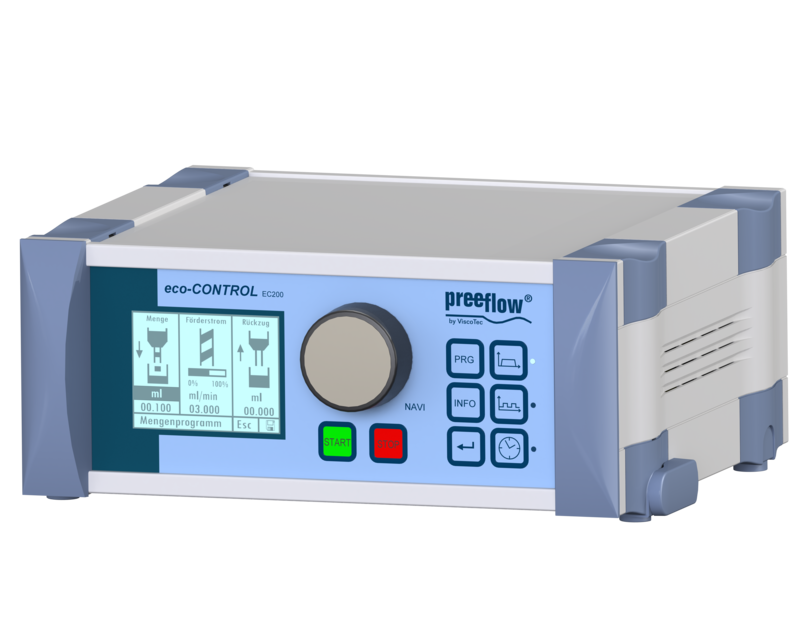 The control unit eco-CONTROL EC200-K from preeflow offers the eco-PEN series of dispensers a wide range of applications. The unit is microprocessor-controlled. It is simple to operate, without submenu, and has graphic support. External signals can be connected via I/O ports to a PLC for control in automated lines. A wide variety of dosing programs with part management are storable. Do you still have questions about eco-SPRAY?